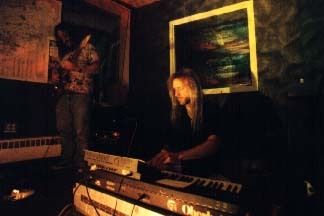 The Ministry Of Inside Things consists of electric guitarist Art Cohen and synthesist Chuck van Zyl. 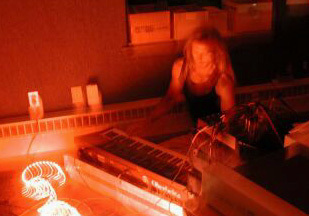 Considered among the most innovative of synthesists in the U.S. today, the members of MoIT are influenced by the early music of Tangerine Dream, Klaus Schulze and Ash Ra Tempel. Their spacemusic has been described as linear because it leads the listener across many sonic terrains. 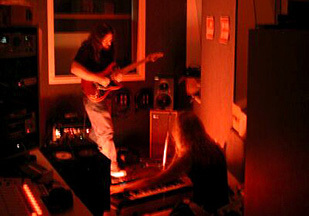 Based on improvisation, The Ministry Of Inside Things creates electronic realizations that flow from theme to theme, often for two hours at a stretch. Through the use of textures and atmospheres as well as harmony, rhythm and melody, the group transports the audience on an internal sonic excursion. The band returned to WDIY for another two concerts. 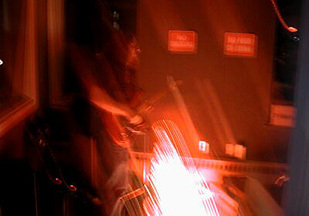 Chuck van Zyl has been recording electronic music and performing live for over 15 years. 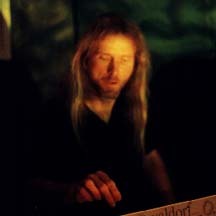 Van Zyl originally worked under the name Xisle, but is best known for hosting one of the country's most successful radio shows of electronic music, STAR'S END, for over 20 years. Van Zyl has released two CDs of spacemusic on the Centaur label, Celestial Mechanics and The Relic. 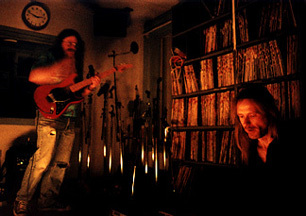 The Sound Museum was released on the Groove label in 2001. A collaborative effort with Peter Gulch, Regeneration Mode, is released on their own Synkronos label. 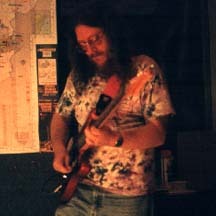 Art Cohen has been pushing the limits of the electric guitar in the studio and in live performance for well over 15 years. He uses processing to enhance the space around his guitar and loops his live sound to create lush layers to create soundworlds of immense depth and beauty. The Ministry Of Inside Things has performed live at Art & Technology, The Philadelphia Museum of Art, First Night Wilmington, the Wild Talents opening reception at the ICA, Gate To Moon Base Alpha, the Boyertown Planetarium, Gathering Concert Series, live on the 01.28.01 broadcast of STAR'S END, and live on the July 12, 2001 broadcast of Galactic Travels (under its previous name). MoIT returned for a second radio concert on June 20, 2002, performed at Soundscapes on June 22, 2002, and returned to WDIY on July 22, 2004.